David G. asks: Why do people yawn? Do other animals do this too? 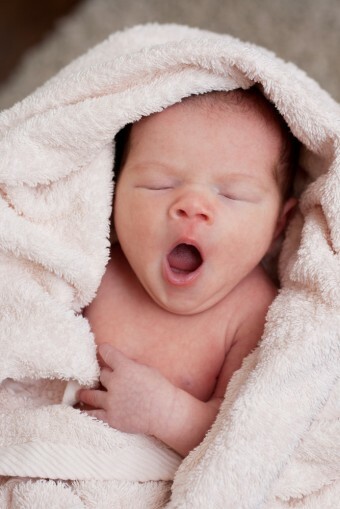 Yawning increases blood oxygen levels. Because it draws in large quantities of air, many people have reasonably theorized that yawning’s purpose is to draw in more oxygen and exhale CO2; this tenet of conventional wisdom, however, has absolutely no objective evidence to support it. Yawning stimulates and aids in arousal. It has been noted that, across species, yawning appears to happen “in anticipation of important events and during behavioral transitions.” That yawning facilitates a heightened state of alertness and awareness is also supported by evidence of yawning accompanying changes in neurotransmitter and endocrine levels. Yawning helps cool the brain’s temperature. Recently postulated, the thermoregulatory theory of yawning begins by noting that the brain’s temperature is controlled by three factors: the temperature and rate of blood flow and metabolism. Since yawning increases blood flow, it is not unreasonable to hypothesize that its purpose is to cool the brain. In the second experiment, subjects were asked to alternately place either a warm or cold temperature pack on their foreheads and, again, watch videos of people yawning. A whopping 41% of those who had a warm pack on their heads contagiously yawned, while only 9% of those with a cold pack exhibited contagious yawning. Thus, the researchers concluded that brain cooling played at least a part in yawning. Three mechanisms are hypothesized for how yawning cools the brain. First, it is known that the brain is “consistently 0.2C higher than that of arterial blood.” Therefore, the theory goes, as blood flow increases, the warmer blood in the brain is pushed out, and cooler blood from below rushes in. Researchers compare this cooling process to a radiator. This theory was tested in 2009 with parakeets, and sure enough, their yawning increased as the ambient temperature increased, but decreased at the highest temperatures “when evaporative cooling mechanisms became more frequent (i.e., panting).” These findings were confirmed in humans in a 2011 study, as well. Popular theories as to why yawning is contagious revolve around mimicry and empathy. These are supported by empirical evidence, such as that gleaned by taking MRIs (magnetic resonance imaging scans) of brains while yawning. In one such study, areas involved with processing emotions (both our own and other people’s) were activated during yawning. This led researchers to conclude that “my capacity to put myself in your shoes . . . is a predictor for my susceptibility to contagiously yawn.” It should be noted, however, that yawning is only contagious in about 60-70% of the population. Interesting article, but why do the studies discussed not the role of fatigue? In humans it seems to be a sign that they are tired (though interesting to think that temperature plays a role). Is this true in animals as well? @Rebuttal: Thanks for catching that, fixed! The main reason we yawn is to try and clear out our sinuses. Nobody has thought of that yet?